Dr Sanchez was amazing! The entire staff is amazing! 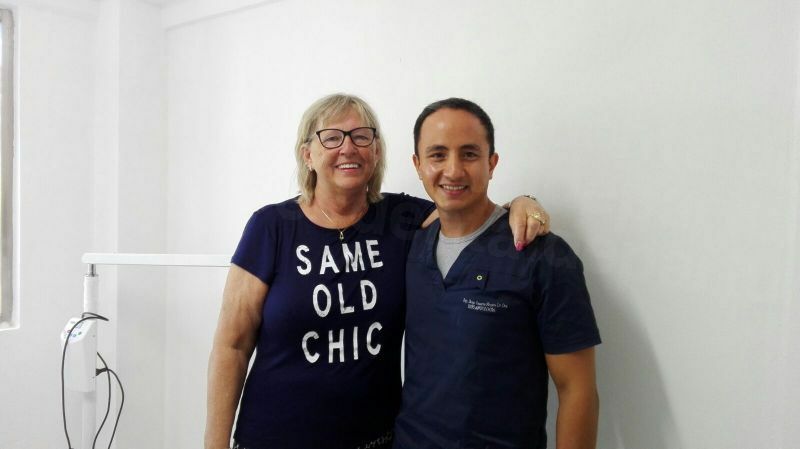 I first began emailing with Olga with my treatment plan of a full mouth restoration. She was very helpful with all questions, concerns and travel plans, etc. 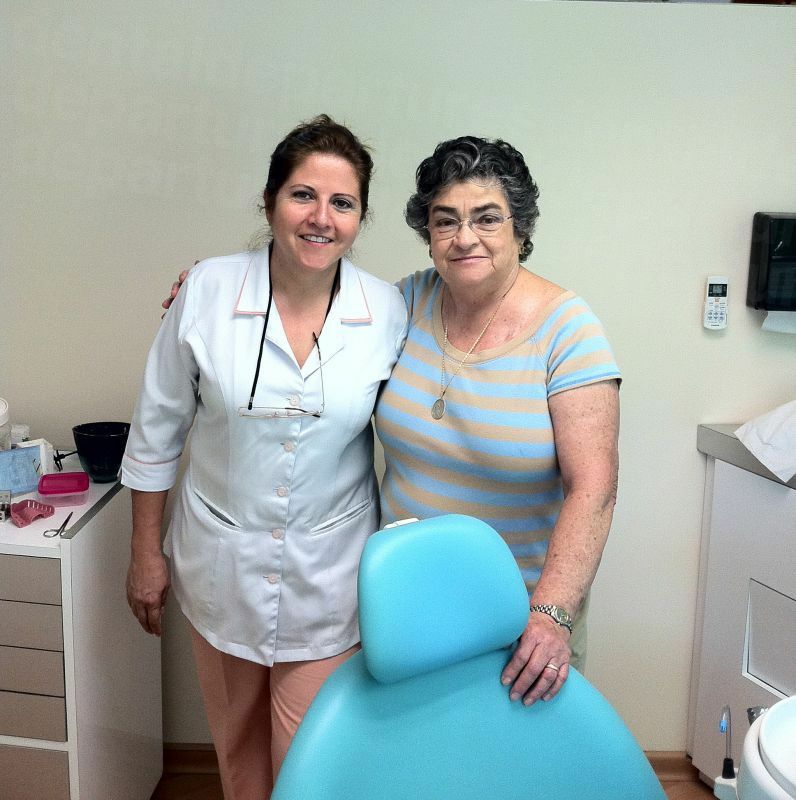 Once my treatment started, everyone was very comforting (because I was so nervous and have not had great experiences at the dentist). After everything was done and I saw the results, I literally could not hold back the tears of joy! Something I had been putting off for years and now could afford to do (the US price was not even attainable for me in no near future) had finally came to life - a brand new smile! I felt like me again! Another great part - I barely had any pain. The time that I did, the office had provided all necessities. I chose this clinic for a few reasons. 1). I had contacted some others from reviews and spoke with them about the dentist and their treatment. 2). I knew I would be seeing Dr Sanchez and not someone else. 3). I really appreciated the communication during my “investigation” process. There were other clinics that I reached out to and honestly I just didn’t like their cold response or their constant inquiries & one had a completely different and more expensive plan that I felt was unnecessary. 4). I had already been told that the office was nice and with all updated equipment and materials. So I would suggest to anyone - do your research and go with what your gut tells you. You will not be disappointed with Dentics. 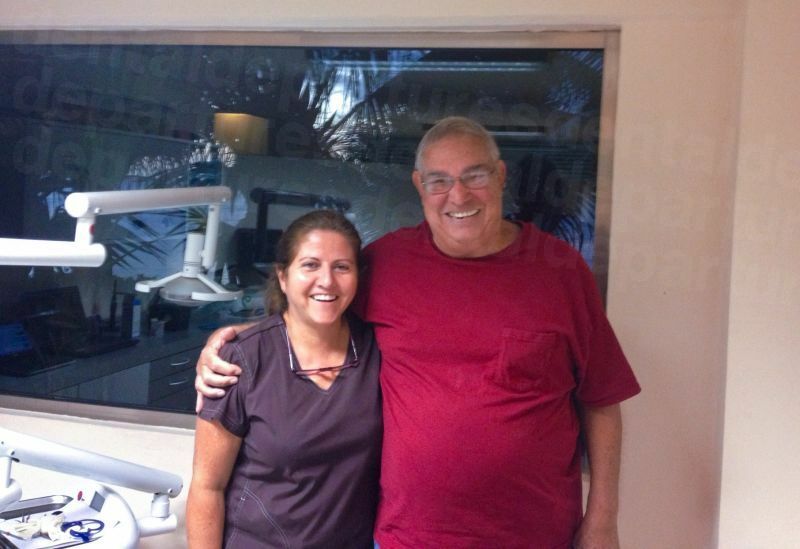 Olga or Martin are great and caring people that will assist you in any way they can. The whole team is great! Your message has been delivered to Ocean Dental and you will receive a reply within 4 hours. 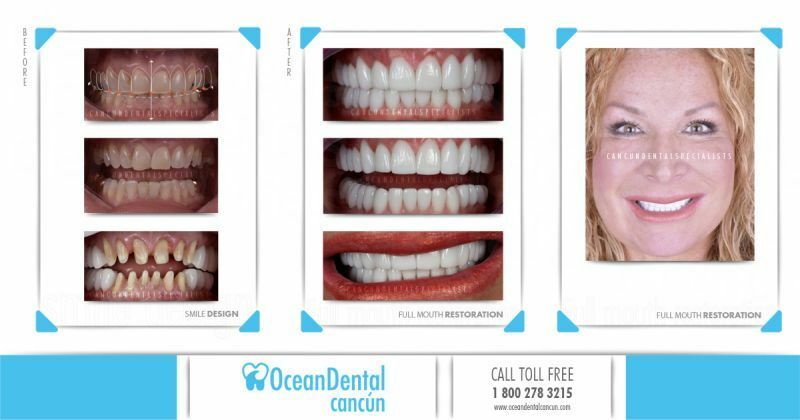 Ocean Dental, a fully equipped dental clinic in Cancun, Mexico, is a member of the American Dental Association, and offers a full range of dental services at much lower rates than comparable dental facilities in the United States and Canada. 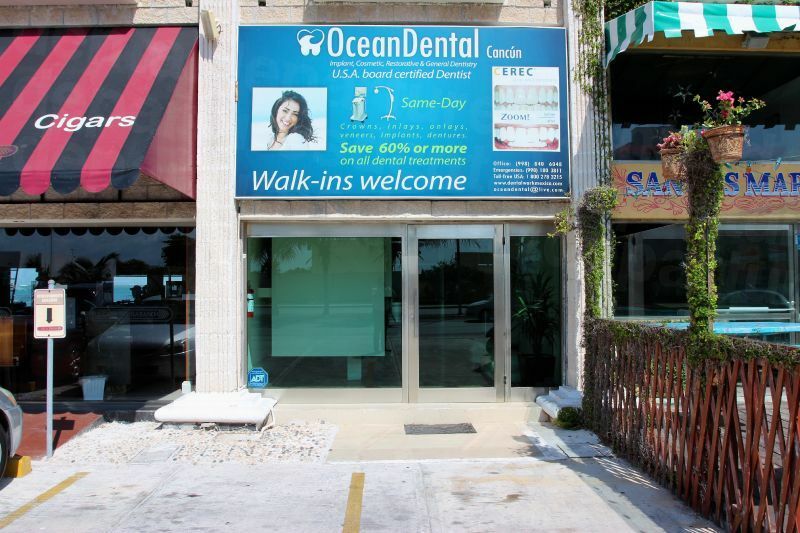 Ocean Dental has been in operation for 12 years. 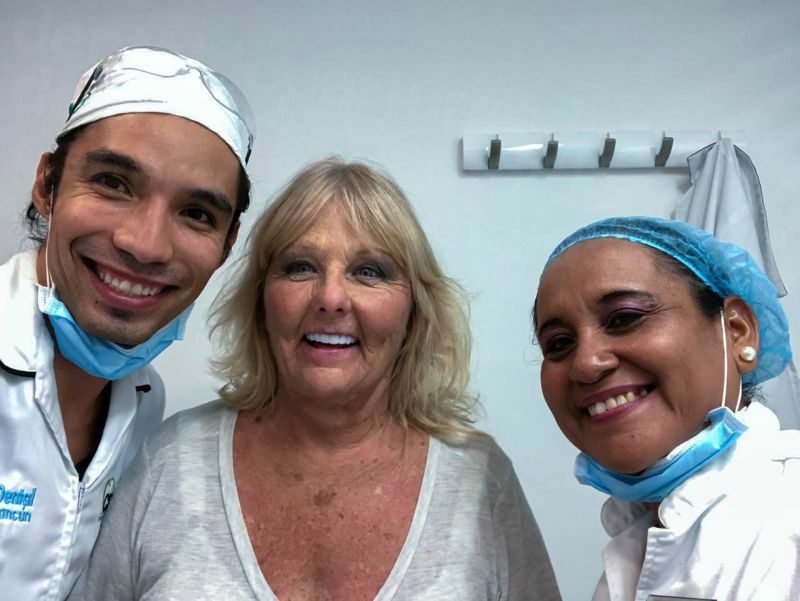 The experienced dentists practicing at the facility speak English and are either U.S.-licensed or U.S.-trained dentists, skilled in the most up-to-date dental procedures and technology. 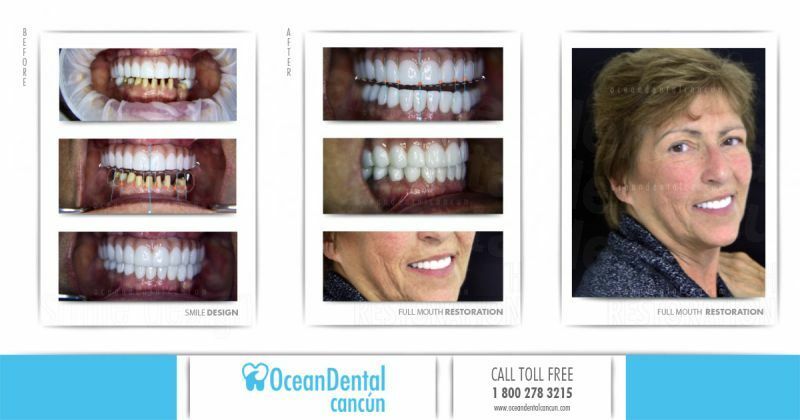 Ocean Dental uses the latest equipment and best materials. All dental work is guaranteed for up to ten years. 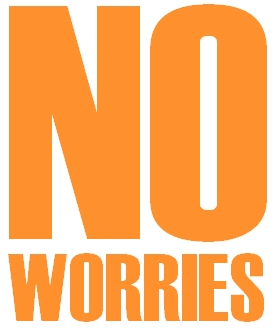 Sedation by an anesthesiologist is also offered as an option for your procedure, if desired. 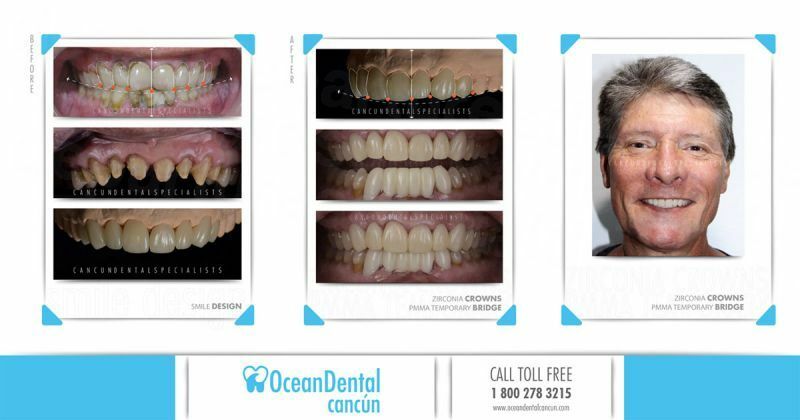 In addition to complete dental services from x-rays to implants, crowns and dentures to complete cosmetic smile makeovers, Ocean Dental offers free quotes, free cleanings and exams, free teeth whitening with major procedures, and same day crowns, veneers and bridges. 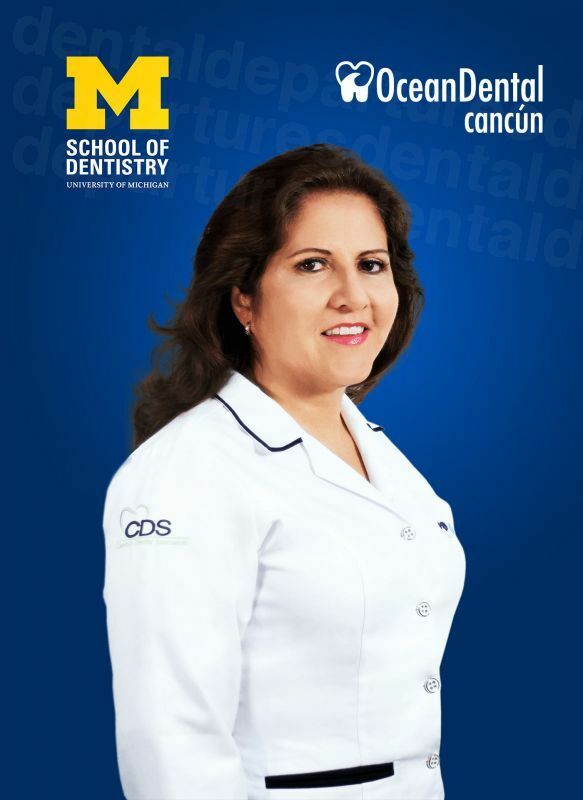 But they don't stop there: Ocean Dental also offers free airport/hotel shuttle services to and from the clinic and can even help you with arrangements for your transportation to Cancun, as well as planning your vacation. 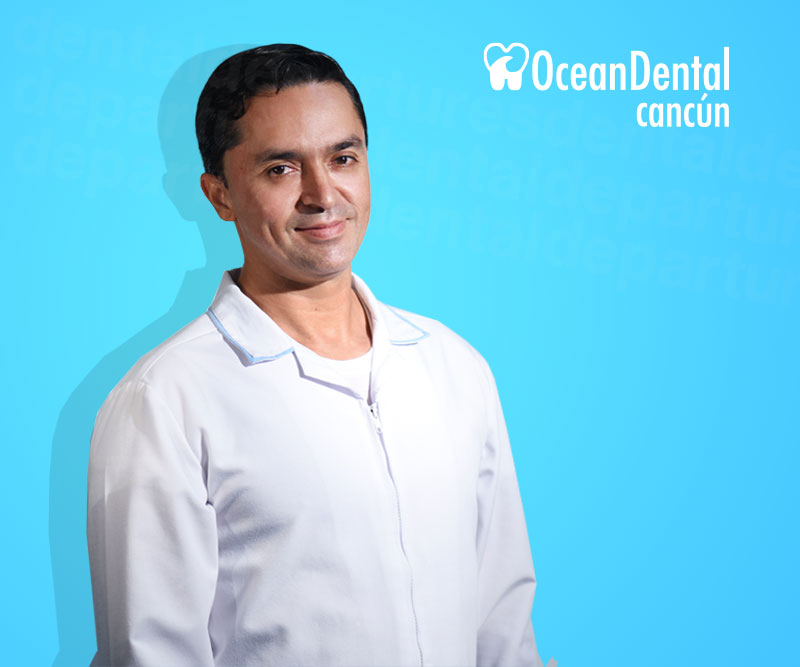 With Ocean Dental's convenient location and free transportation, patients can complete their dental work and get right back to enjoying a relaxing stay, or recovering, in beautiful Cancun. Satisfied clients from the U.S. and Canada have high praise for the quality of work, professionalism and friendliness of the staff. Many report that the money saved on their dental procedures was enough to pay for part or all of their Mexico vacation. 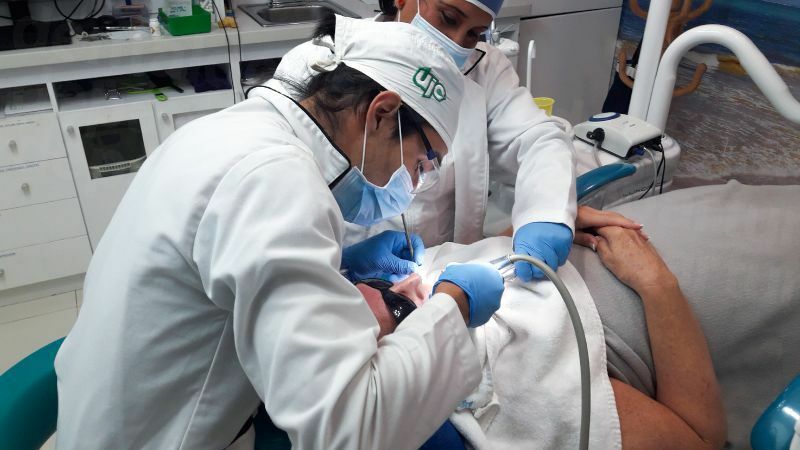 Why not start planning your Mexican vacation and dental procedure now? A getaway in Cancun will put a smile on anyone's face, but now you can return with an even brighter smile than the one you left with! Book online today with Dental Departures or call our Customer Care Team for further information. Free consultation when a patient decide to have treatments. 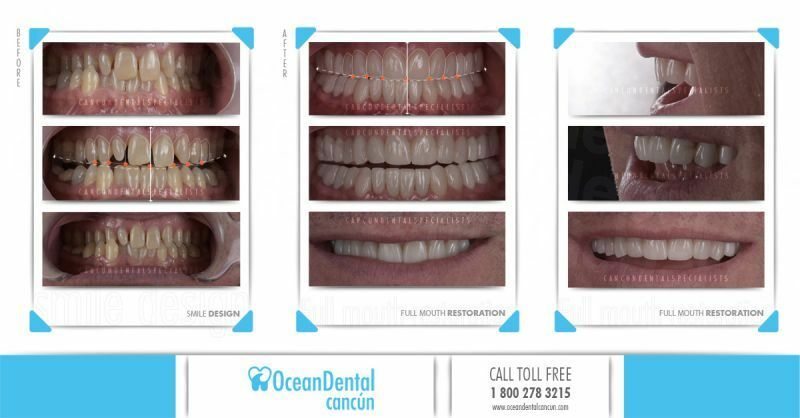 View the dental prices and dental treatment durations of Ocean Dental , in Cancun, Mexico. You can view Ocean Dental 's prices in 21 different currencies: you will always know how much you will pay for dental care at Ocean Dental in your home currency. Learn the number of days you will need to visit Ocean Dental to receive your dental care by looking at their treatment durations. 5-7 days are required for 1-5 crowns, 7-14 days required for 6+ crowns, and 14-20 days for full mouth crowns. 7 days are required for 1-5 veneers and 7-14 days required for 6+ veneers. 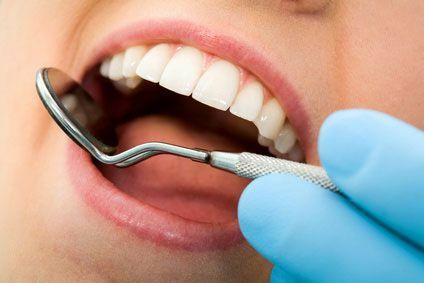 If NO extractions are first required 10-14 days are needed for completion, if extractions ARE first required, 14-28 days are needed for completion. including the implants and acrylic denture. If there is any bone grafting and membrane then this is charged separately. First stage of implant placement: 4-7 days. Second stage, placement of permanent restorations: 7-14 days. Please note that in order to be a candidate for implants, ideal bone condition is required, and should bone grafts and/or sinus lifts be required for implants placement, additional time may be required. Inquire further for your case. Time may vary. Consult directly with clinic. $500 for first hour. $100 every following hour. 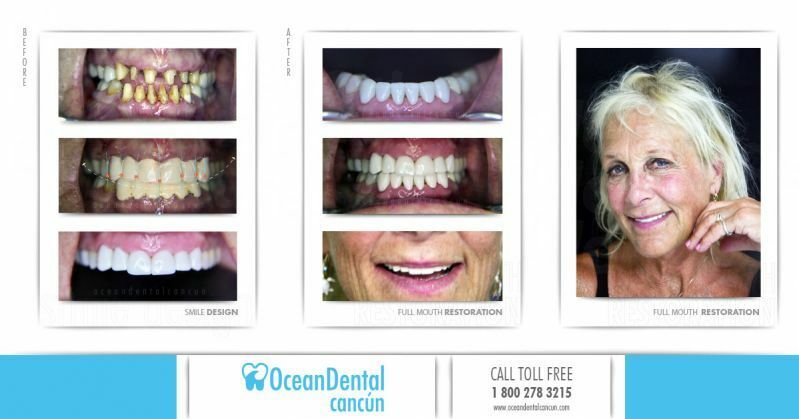 Read real reviews from real patients of Ocean Dental , in Cancun, Mexico. Ocean Dental has achieved a star rating of 5 based on 334 reviews. If you are a past patient of Ocean Dental please click the 'write review' button to provide your review for others to read. Writing a review for Ocean Dental will only take 2 minutes to complete. I have spent a week in Cancun. During my time there I had dental work done at Ocean Dental part of CDS. Fantastic all the way through. Outstanding customer service and care! Professional service and attention to detail. Friendly staff. Great drivers from hotel to clinic and back. No disappointments at all! Oh yes and the prices is beyond belief. This was our second visit (my wife and I), to the facility in Cancun. We have easily saved over 4000$ going there. We both could not be happier with the service we received. The staff is wonderful. Communication is not an issue at all. I am spreading the word to all my American brothers of the quality and the value of going there. My sister in law was given an evaluation, and will be returning in Feb. for some work. The more work you need the greater the savings. A special thanks to all the personnel there, Maggi, Ivan, and our driver Roger. I wished I remembered everyone's name, so I could thank them all, and of course, a special thanks to Dr. Irma. We will be back. Had pain when biting on food but not sensitive to hot and cold. Dental Ocean Dentist found overbite and just a good polishing. Had a crown done years ago that I wanted her to look at that trapped food all time. Great vacation at same time! Get a consultation in your visit!